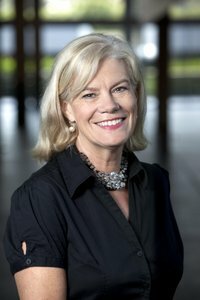 A specialist in strategic communications and Order of Australia recipient will head Charles Darwin University’s External Relations unit, part of the Office of Media, Advancement and Community Engagement. Jane Singleton is best known as the inaugural presenter of ABC TV’s 7.30 Report. Later she worked in strategic communications and as a public advocate. Her campaign successes have been as diverse as achieving compensation for victims of asbestos products and ending Australia’s policy mirroring the Bush Government’s Global Gag. She has been Chair of the International Aid Organisation, ChildFund, President of the Media, Entertainment and Arts Alliance, and director of a wide range of corporate and not-for-profit organisations. Ms Singleton, who has been living and working in the Northern Territory for the past few years, was most recently Corporate Affairs Manager for Telstra in the Northern Territory and Director of Strategic Communications for the Department of the Chief Minister. Ms Singleton said that education in the Northern Territory was one of the most important ways of improving the lives of residents, and finding the support to deliver this in the best possible way was an exciting challenge. She is responsible for the CDU Foundation and Alumni in her new role. Following a long and distinguished career in journalism and broadcasting, Ms Singleton was awarded an Order of Australia for her commitment to aid and development, women’s affairs and human rights.